Kristin Harmel is the international bestselling author of The Sweetness of Forgetting, The Life Intended, and When We Meet Again, along with several other novels. Her work has been featured in People, Woman’s Day, Men’s Health, Runner’s World, and Ladies’ Home Journal, among many other media outlets. She lives in Orlando, Florida. I cannot say how much I enjoyed this book. The comparisons to Kristin Hannah’s The Nightingale is very fair! 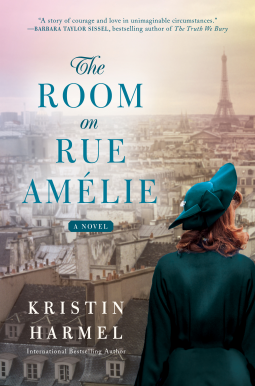 I’m sometimes reluctant when books are compared to others, because I assume that the book must be a cheap copy of the first, but The Room on Rue Amelie can definitely stand on its own! It was SUCH a beautiful tale of French Resistance in WWII. I love anything set in WWII, and the brave fighters of the French Resistance don’t get enough attention, I believe. This is a story of that, but also a love story not just between people, but also between the main character and herself. 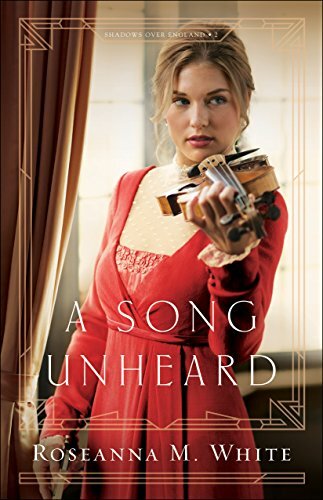 I loved Ruby’s journey through being a brave American, to just an ignored housewife, to finding herself swept up in the French Resistance, and finding out who she really is within all of it. She who blooms in the midst of the darkness. The Room on Rue Amelie will be released on March 27, 2018. If you are a fan of Donna Tartt, this is definitely a book you will enjoy. I was intrigued from the first page. I’m not really a fan of mystery type books, but this one really drew me in and kept me there. In any life that contains a “before” and an “after,” how is it possible to live one life, not two? 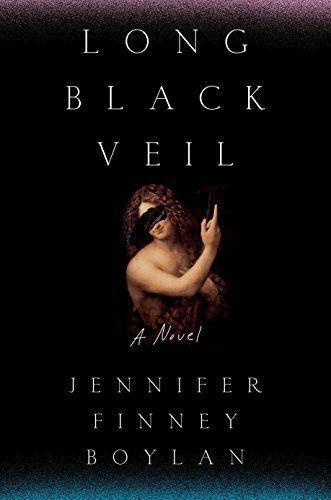 Jennifer Finney Boylan’s writing style is superb. She has a masterful way with words that make the story come alive. I received this book in exchange for my honest review from Blogging for Books. All opinions stated above are my own. D.A. Horton serves as Lead Pastor of Reach Fellowship a church plant in North Long Beach, CA. 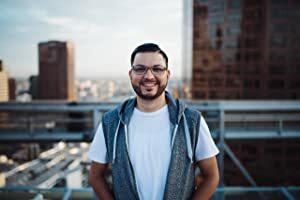 Prior to his current role he’s also served as Chief Evangelist for the Urban Youth Workers Institute (UYWI), an urban church planter/pastor in Kansas City, MO, a National Coordinator of Urban Student Ministries at the North American Mission Board (NAMB) and the Executive Director at ReachLife Ministries, the non-profit ministry of Reach Records. He earned his B.S. in Biblical Studies from Calvary Bible College, his Masters Degree in Christian Studies from Calvary Theological Seminary and is currently working on his Ph.D. in Applied Theology with a North American Missions emphasis at Southeastern Baptist Theological Seminary. He has authored six published books; G.O.S.P.E.L., DNA: Foundations of the Faith (published through Moody Publishers), Bound to Be Free: Escaping Performance to be Captured by Grace, (published through NavPress), Authentic Love: Christ, Culture, and the Pursuit of Purity, Letters of the Revelation, To the One Who Conquers – Teen Bible Study: Freedom from Sin through the Revelation of Jesus Christ, (published through Lifeway). D.A. 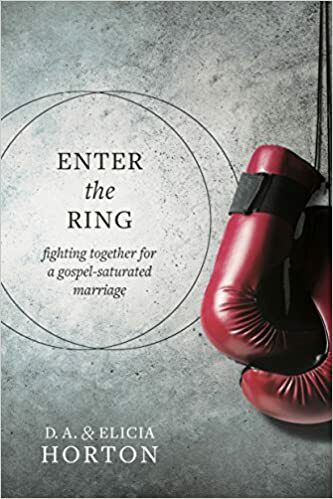 and his wife of 14 years Elicia have co-authored, Enter the Ring: Fighting Together for a Gospel-Saturated Marriage, which will release through NavPress in January 2018. D.A. and Elicia have two daughters, Izabelle and Lola and one son, D.A. Jr. (aka Duce). I have heard D.A. Horton speak at many different conferences, and he is always wonderful. I knew that a book written by him would also be amazing, and I was not wrong. Enter the Ring “rings” with Horton’s style of no-holds-barred way of speaking the truth, and he’s not afraid to get a little messy in the process. If you’re married, you and your spouse are in the middle of a fight. The world is using different tactics to distract you, trip you up, and tempt you to throw in the towel and leave the ring defeated. The world wants to destroy your marriage. But God is with you in the fight- and through forgiveness and grace He is ready to lead you, to protect you not only from the world but also from yourselves. Many times throughout reading this book, I thought to myself “I wish this would have came out 11 years ago!” However, no matter where you are in your marriage, the truths that Horton sheds light on still ring true. I know I will be getting a copy for all the new couples tying the knot that I know! I was given this book in exchange for my honest review from Tyndale Blognetwork. All opinions stated above are my own. Affiliate links used. Roseanna M. White is a bestselling, Christy Award-nominated author who has long claimed that words are the air she breathes. When not writing fiction, she’s homeschooling her two kids, designing book covers, editing, and pretending her house will clean itself. Roseanna is the author of a slew of historical novels that span several continents and thousands of years. Spies and war and mayhem always seem to find their way into her books . . . .to offset her real life, which is blessedly ordinary. You can learn more about her and her stories at http://www.RoseannaMWhite.com. First off, THIS BOOK WAS SO GOOD! The details of the setting were phenomenal. I learned so much of the time period, and even of the violin itself, that I actually got a lot of questions right on Jeopardy the other night (haha). My husband gave me the side-eye and asked how I knew so much about the violin LOL. Although this is the second book in a series, I read it as a stand alone, and it was easily read and understood that way. But I will say, I want to read the first book in the series as well, and I’m crossing my fingers that there will be more to the series! I really loved Willa, her stubbornness and personality. I also liked Lukas, though I felt at the beginning of their relationship, his feelings toward her were a bit premature to be believable. However, their relationship was redeemed for me as the story progressed. I loved the insight into Lukas’ sister and her mathematical mindset. I found so many aspects of this story fascinating. Like I said before, the setting really added to the intrigue of the story, as all the characters are getting used to life in early war time. A group of soldiers strode by on the street below their window. Proof that no one had their own life just now. Not the ones they used to know. I also really loved Willa’s relationship with her music. Sometimes it was strained, and sometimes it flowed beautifully. I could connect with her in that aspect, because of my art. I could really feel her frustration at her lack of knowledge, and also rejoice with her when she and the music connected on a much deeper level. White’s writing really made this story come alive for me. You can also pick up the first book of the Shadows over England Series here. I was given this book in exchange for my review from Bethany House Publishers. All opinions stated above are my own. Affiliate links used. Written with a no-nonsense attitude, St. John’s “advice from the trenches” will help you take an introspective look at your own writing habits and life. 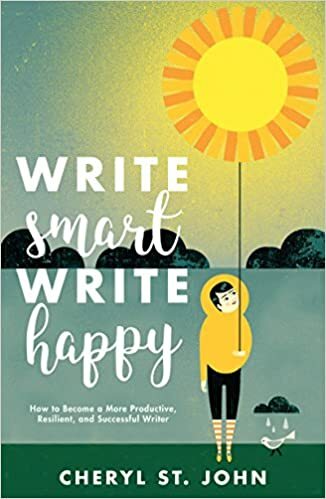 Through examples and inspiration from writers who struggled with–and overcame–rejection and reservations, discover the path towards writing smarter and happier today. Cheryl St. John is the author of more than forty Harlequin and Silhouette books. Her first book, Rain Shadow was nominated for Romance Writers of America’s RITA Award for Best First Book, by Romantic Times Magazine for Best Western Historical, and by Affaire de Coeur readers as Best American Historical Romance. Since then she has received three more RITA nominations, a Writer’s Digest award for a feature article, and several Romantic Times Reviewers Choice awards. Many of her books made the Waldenbooks Top Ten lists, USA Today, and Big Sky Brides climbed to #35 on the NYT list. We like to think we’re in control of situations, but life occasionally tosses us something unexpected. It’s essential to plan for success, but we also must learn to roll with the punches. I was given this book in exchange for my honest review from Netgalley. All opinions stated above are my own. Affiliate link used. Will be published on June 26, 2018! I didn’t know what to expect when I picked up this book. I LOVE books set in the Dust Bowl so that drew me in right away. What kept me there was Markert’s wonderful writing style and his storytelling ability. The plot in this book is so unique, I’d love to pick the authors mind and find out how he even came up with ideas for this book! The emotion is raw, and the setting is so real, that I feel like it’s a character itself. The Dust is the antagonist, be it evil or just the effect of many men’s cause. This is the first book I’ve read this year where I absolutely loved the last sentence. I feel like it ended perfectly. Lale Sokolov is well-dressed, a charmer, a ladies’ man. He is also a Jew. On the first transport from Slovakia to Auschwitz in 1942, Lale immediately stands out to his fellow prisoners. In the camp, he is looked up to, looked out for, and put to work in the privileged position of Tätowierer- the tattooist- to mark his fellow prisoners, forever. One of them is a young woman, Gita, who steals his heart at first glance. Historical Fiction is my favorite genre of books, especially books written around the WWII era. 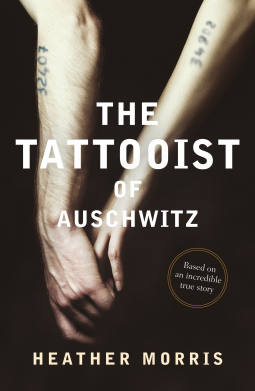 When I first read the description of The Tattooist of Auschwitz, I was hooked and read the entire book in one sitting. How can race spread out across multiple countries be considered a threat? For as long as he lives, be it short or long, he knows he will never comprehend this. The Tattooist of Auschwitz tells the story like so many others of that time. It’s a story of survival. It’s a story of human emotion. It’s a story of love. Of hate. And of doing whatever you need to so that you can wake up tomorrow morning. The twinkling of stars overhead is no longer a comfort. They merely remind him of the chasm between what life can be, and what is now. My heart reached out to Lale as he did whatever he needed to do to survive in Auschwitz, yet he held on desperately to his humanity. From sneaking food and medicine to his fellow prisoners, to organizing escapes, to helping his love Gita remember who she really is. Lale’s story is a true story of real life heroism and defiance to evil. Also, the pictures of the real Lale and Gita in the back of the book made my reading experience extra gratifying. Hold that thought. Use it to get out of bed tomorrow morning, and the next morning, and the next. I was given this book by Netgalley in exchange for my honest review. All opinions stated above are my own. 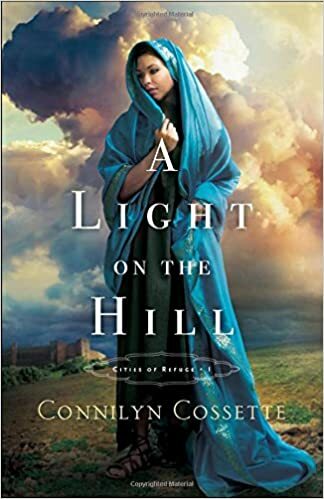 I absolutely LOVE Connilyn Cossette’s writing style! She is perfectly descriptive and it just brings ancient Israel to life! I was so happy to pick up another one of her books, and was not disappointed! The plot of this book is amazing. I’ve never read -or heard of- another book like it. The story line is incredible and it drew me in like a moth to the flame. I found Moriyah’s struggle and journey to be truly inspiring. How could someone who’d endured such suffering remain so untainted? I felt the oily sheen of shame on my soul at every moment. I was weary of its darkness. Weary of its weight. I had no idea how to leave it behind, even for one night. The cause of Moriyah’s shame may not be relevant for today’s time, but I felt my heart connect with hers throughout the whole book. Don’t we all have those things that have happened to us, whether by our own or someone else’s hand, that cripple us? I love that Moriyah even demonstrated agoraphobia. How had I come to be this way? To the point that leaving my home and walking among my own people had become something that made my palms sweat and my nerves jangle like dented cymbals? I loved this book and enjoyed it so much. I recommend it! A Light on the Hill comes out February 6, 2018. You can pre-order your copy here. I was given this book in exchange for my honest review from Netgalley. All opinions stated above are my own. Affiliate links used. The wife of a technology entrepreneur, already birth mother of two healthy young children-a boy and a girl-was living comfortably in the suburbs. Then she doubled the size of her family by adopting four Ethiopian children. Why? 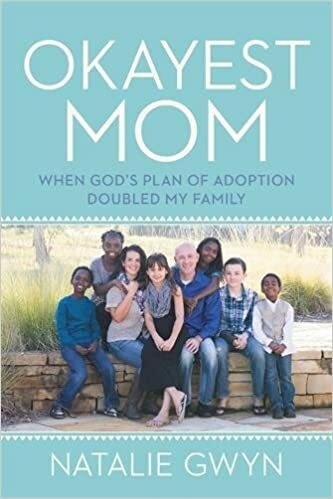 Popular blogger NATALIE GWYN has been cited widely for her candid, insightful, often humorous writing on cross-cultural adoptive Christian families (which number more than 4 million). HuffPo has linked to her controversial posts and celebrities like Kathie Lee Gifford have quoted and pictured her on social media. Here Natalie tells her whole mom story, including the only-God-could-do-this backstory. Her lighthearted narrative begins with the nudge of God toward the uncomfortable. She and her husband are almost certain they have misunderstood what the Almighty is asking of them, and with self-deprecating humor Natalie allows readers a glimpse into the process by which this already imperfect mom agreed to transnational, transracial adoption of more children than she already has. Natalie then takes the reader on her family’s adventure to Ethiopia to legally adopt the three siblings God has chosen to add to their family. With the skill of a detective novelist, she reveals their discovery of a fourth sibling, their critical decision not to leave this child behind, and their harrowing quest to find, woo and legally adopt her, too. Similar to the laugh-out-loud humor of books on blended step-families, Natalie shares the bedroom, bathroom and kitchen scenes of this adoptive family’s huge adjustments. She brilliantly captures each child’s and each parent’s perspective and, in doing so, reveals God in their midst. I absolutely love books like this, that are true stories in peoples lives where God has come in and completely turned everything upside down! I was in love from the first page, and honestly, EXTREMELY inspired. I found Natalie’s writing to be funny and truthful and just downright refreshing. I recommend it! Okayest Mom comes out June 26, 2018. You can pre-order your copy here! Anna Sabino is an artist, but certainly not a starving one. She wasn’t born into a wealthy family, didn’t inherit money from a distant relative, and doesn’t have a rich husband. But she made it as an entrepreneur, as a single woman, and most importantly, as an artist. The most effective marketing and PR methods adjusted to the new reality of short attention spans and information overload. I initially picked this book up because I was very interested in the context. I am an artist and would love to make art as a profession. However, I’ve been letting a lot of things hold me back, which are probably the same things that are holding you back too! To embrace a confident attitude, we need to stop using excuses. Economic conditions are always going to be challenging, yet there are millions who thrive no matter what. It’s widely proven that grit and consistency is far more important than talent. 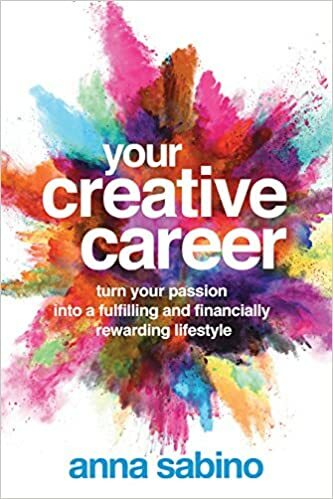 Even if you aren’t an artist, this book is for you! It was such a huge encouragement to me to get the ball rolling on ALL my dreams, even the ones that don’t deal with my profession, like losing weight. I want to dream again! Don’t be afraid to wear your too large wings. Your courage will make them fit in no time.